One Call Does It All. Life Link III’s Communication Center is available 24/7 to assist with your air medical transport. One Call Does It All. Life Link III’s Communication Center is available 24/7 to assist with your air medical transport. Our Life Link III communication team members use the latest technology to provide the most efficient service while maintaining a focus on safety. Ensuring our Communication Specialists have state-of-the-art equipment and training is one of the key pieces of successful patient transports. Life Link III is equipped with the latest Radio over Internet Protocol (RoIP) for both Minnesota and Wisconsin. Our Communication Center utilizes the satellite Global Positioning System (GPS) to monitor all transports. All transport requests are entered and tracked in a computer aided dispatch (CAD) system specially designed for medical transport. One Call Does It All. Life Link III’s Communication Center is available 24/7 to assist with your air medical transport. Life Link III’s Communication Specialists have experience in law enforcement, fire, EMS, hospital, and customer service settings. All Communication Specialists must complete an extensive three month training program as well as the Certified Flight Communicator course (CFC) certification provided by the International Association of Medical Transport Communication Specialists, and the Public Safety Telecommunicator I course (PST1) provided by the Association of Public Safety Communication Officials (APCO). 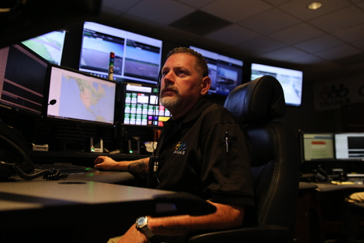 Life Link III operates a state-of-the art Communication Center staffed with Certified Flight Communication Specialists who dispatch the company’s helicopters and fixed wing aircraft 24 hours a day. 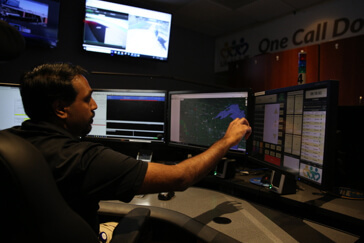 Using a computer-driven algorithm methodology, the Communication Specialists can quickly determine which aircraft is closest to the scene or facility for immediate dispatch. Through its ‘One Call’ system, Life Link III works collaboratively with other air medical transport services to dispatch the most appropriate aircraft, whether it’s Life Link III’s or another service. 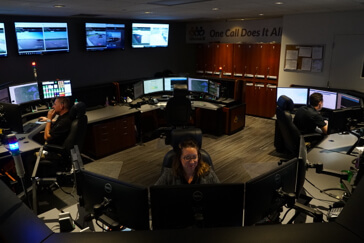 Life Link III works closely with 911 dispatch, law enforcement, fire, EMS agencies, and hospitals to provide the most efficient process possible. This translates to doing what’s best for the patient on every transport. 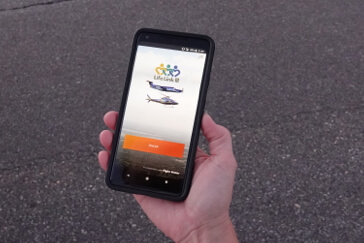 Life Link III’s OneLink™ connects your mobile device, tablet or desktop directly to our Life Link III Communication Center to request an aircraft when transport is required. All transport requests are transferred immediately to our computer aided dispatch (CAD) system to get the request initiated-when time and the patient are critical. OneLink™ is available for both scene incidents and interfacility transports. Both the helicopter and airplane can be requested through OneLink™ – allowing you to get transport started as quickly as possible. To learn more, contact app@lifelinkiii.com.